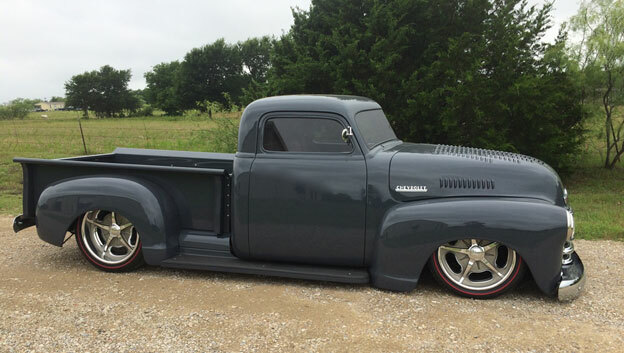 '49 Chevy truck with a good altitude! Matt Mussilo's fun '49 Chevy was outfitted by RPL Customs with 19x8, 20x8.5 Accelerator wheels with titanium coating, and air suspension for that soooo low look. Or maybe it's just the coolest road grader ever!